There’s a new chapter about to open in my life and one that I’m pretty excited about. It’s the reason I haven’t been ‘Blogging’ as consistently these past few months and that’s because I’ve been investing a lot of time in several projects that mean I’ll be taking on a new role in the world of film production – behind the scenes as a writer and producer. So naturally, I was very happy to be heading off to Los Angeles two weeks ago for a combination of personal and work reasons. While I’ve been to LA many times over the last decade, this trip was doubly enjoyable because a pack of Melbourne buddies were there at the same time which meant we could hang out, shop and play. 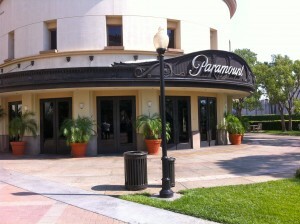 Last week we decided to do a very ‘touristy’ thing – take a tour of Paramount Pictures studios. 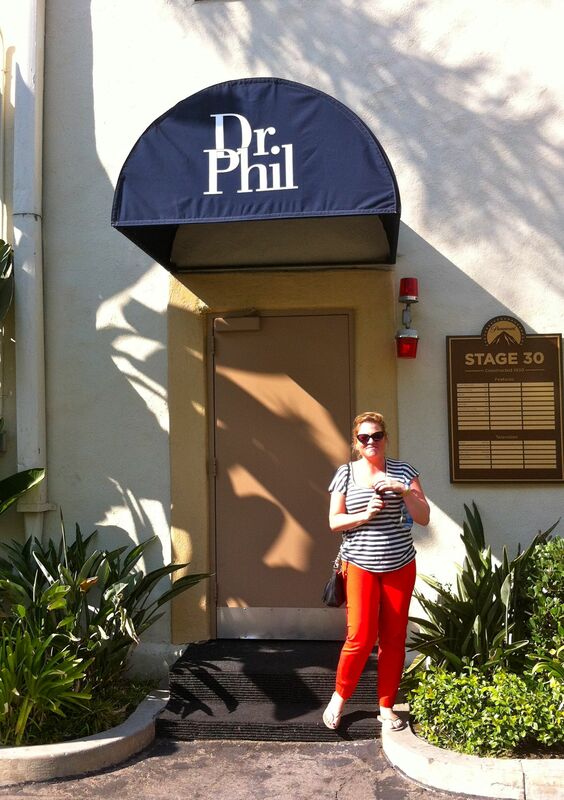 I was as excited as a child visiting Disneyland. 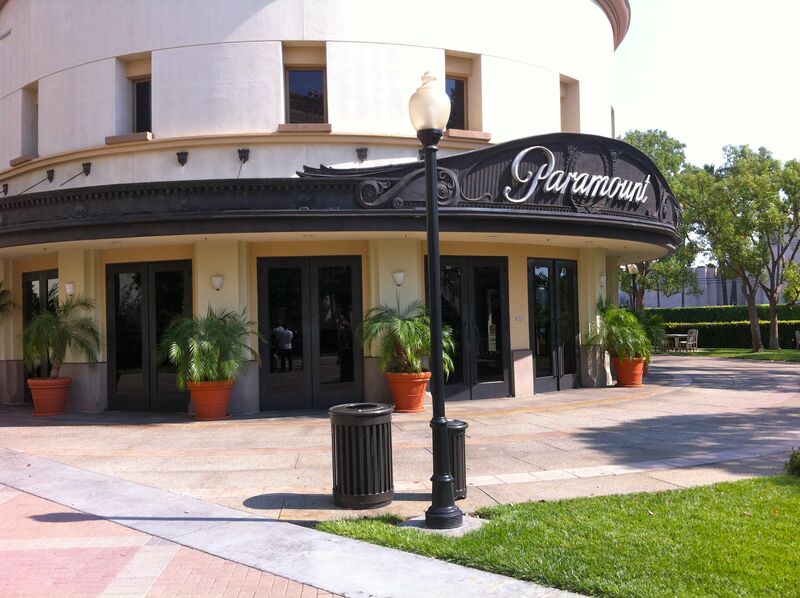 The history and filmic achievements of Paramount are epic, so with my absolute passion for film, it was akin to visiting a holy temple. I knew it would be fun, but in fact, I was blown away by the gorgeousness of it all. An experienced friend advised us to take the 2-hour tour, as opposed to the much more expensive four and a half hour version, and he was right – it was just the right amount of time to soak up the magic and history. To list all of Paramount’s famous movies would take weeks, but just a handful include the likes of Rear Window, Breakfast at Tiffany’s, Psycho, Love Story, The Great Gatsby (1972), Terms of Endearment, American Gigolo, the Godfather movies, Pretty in Pink, all the Star Trek movies and Titanic. 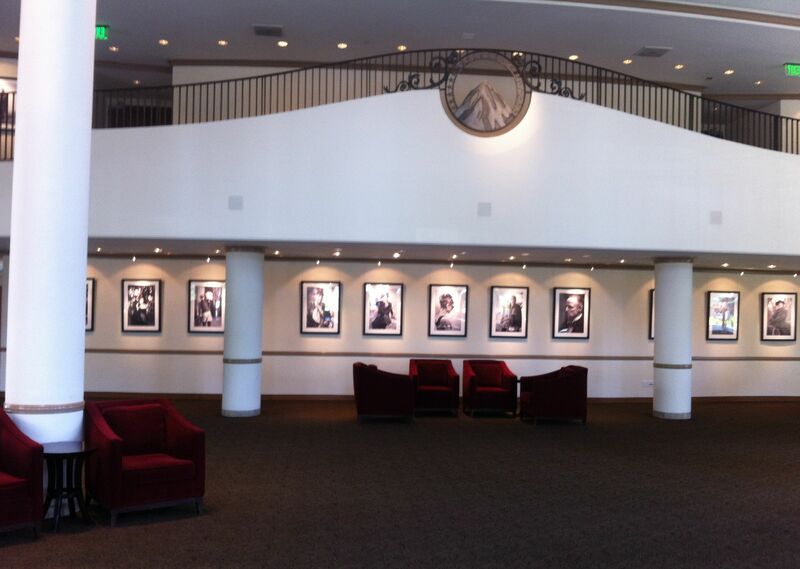 Most of the them probably had a screening at Paramount’s famous on-site theatre, where we stopped and sat inside to hear a very entertaining history of the studio from Katy. 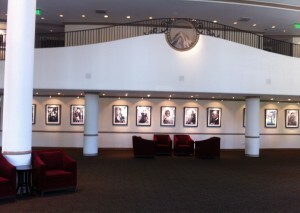 Even the foyer of the theatre is stunning and is often used in movies where a bit of stage dressing can turn it into a hotel lobby. Driving around in our buggy, we packed in a full tour – the only section we couldn’t see was the New York area, which was locked off while a TV commercial was being filmed. 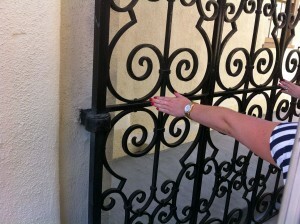 I also liked the fact that our tour was quite intimate. The three of us and another family meant there were only seven people demanding Katy’s attention. 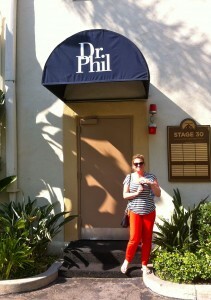 We stopped at many famous doors along the way. 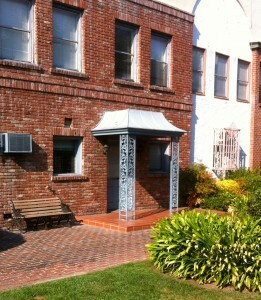 And while it was disappointing not to actually venture inside, I still appreciated seeing them and learning the history. 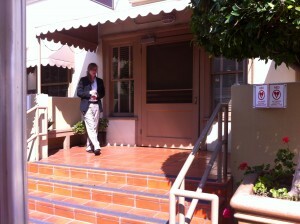 Here’s the door to what WAS Katharine Hepburn’s dressing room. 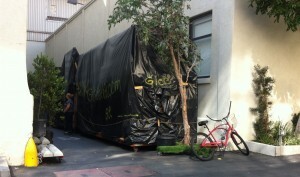 She’d apparently ride to work on her bicycle, taking an alternative entrance to the studios to avoid the paparazzi. 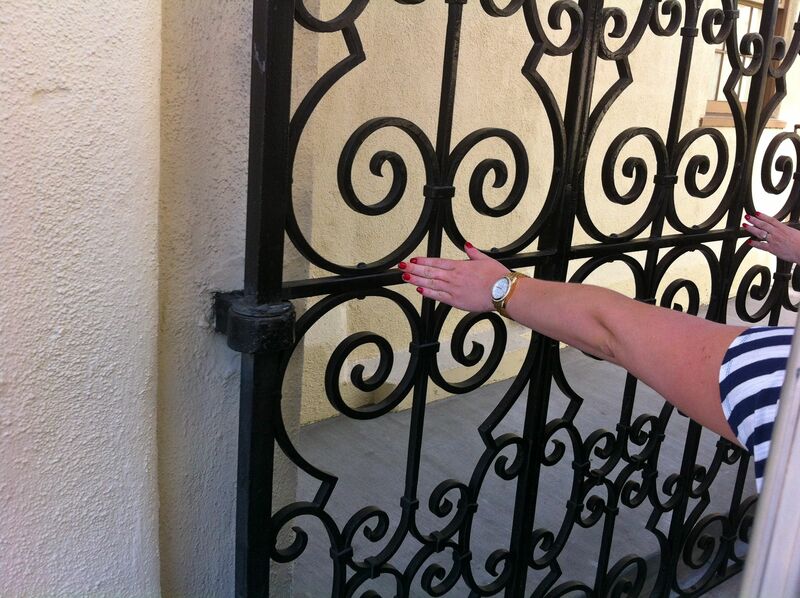 And here’s a door we couldn’t have walked through even if we’d tried… It was cemented up after Lucille Ball discovered her husband Desi Arnaz’s philandering ways. Here are some steps you might recognise. Remember Top Gun? These were used for the scene where Tom Cruise (Maverick) sits on the back patio of Kelly McGillis’ (Charlie’s) beach house while they talk and drink wine. It was incredible to see the car park which can be turned into an ocean, filled with water from the massive tank above – it takes nearly a whole day – with projected images of beaches or other locations coming to life on the huge screen to the left. 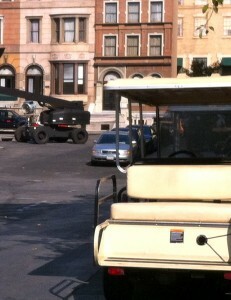 Of course, the cars have to park elsewhere on those days… The magic of cinema indeed. 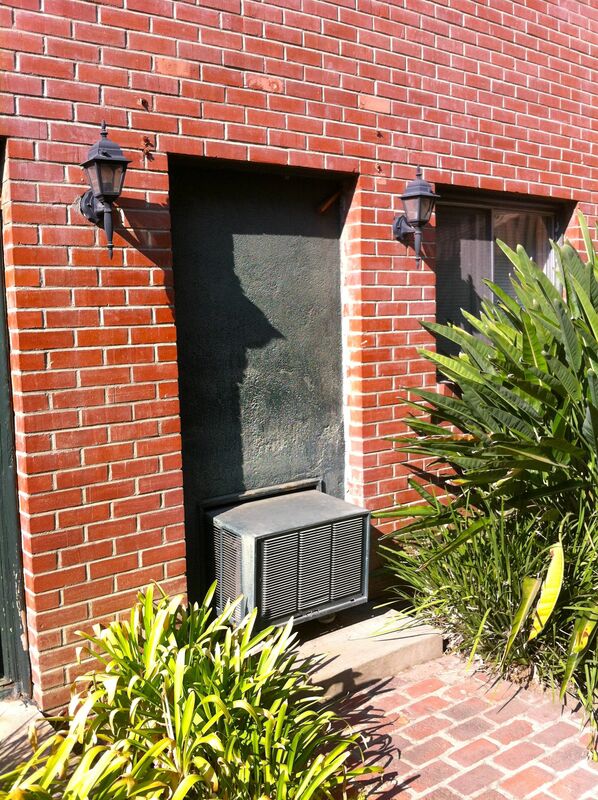 For those who love a good ghost story, you’ll feel a tingle passing the allegedly haunted STAGE NINETEEN. Child actor Heather O’Rourke, who died from cardiac arrest at the age of 12, is rumoured to haunt the studio as her filming days were apparently the happiest of her tragically short life. Heather was discovered by Steven Spielberg at the age of five and went on to star in the 1982 horror movie, Poltergeist, as well its two sequels. 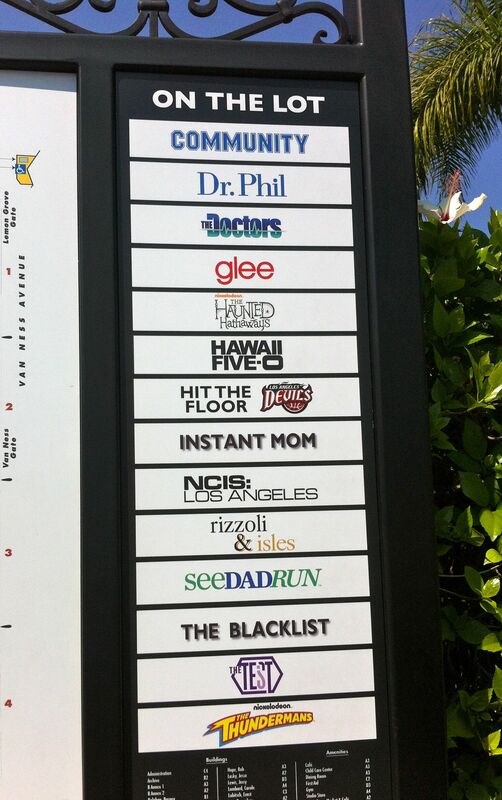 Nowadays, there’s more TV shows than movies being filmed at Paramount. 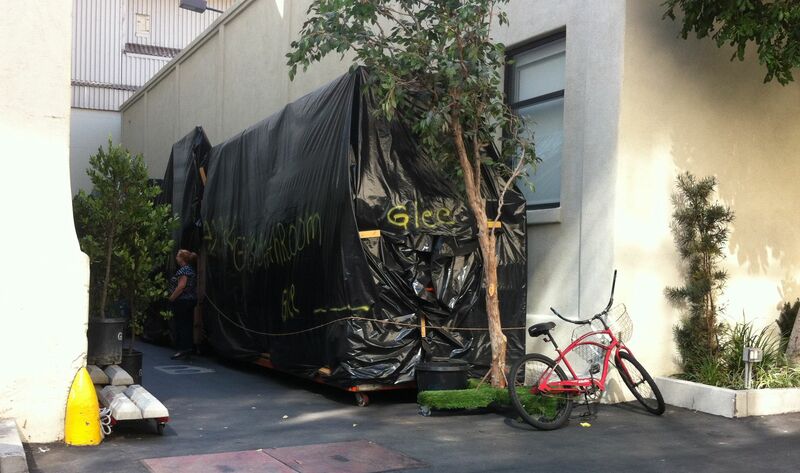 Here’s a look at what’s being filmed on site right now. 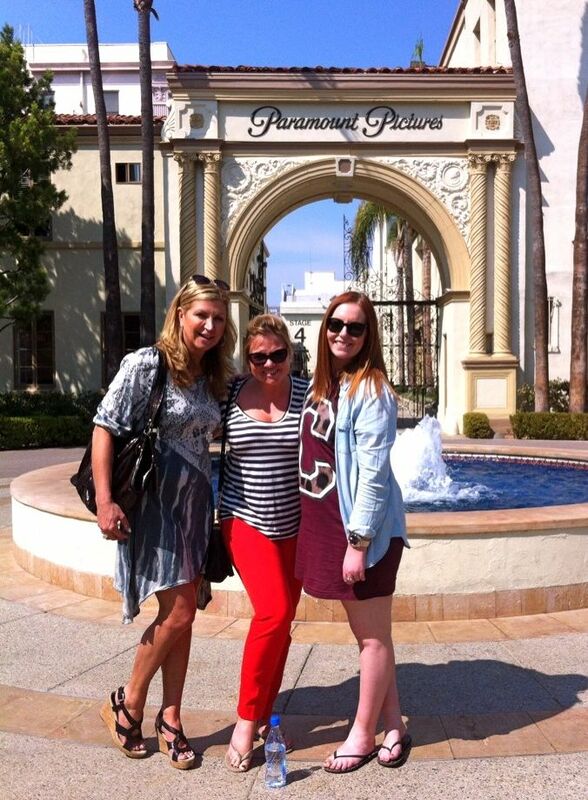 Ah yes, a memorable day indeed and one I would highly recommend to anyone visiting LA. 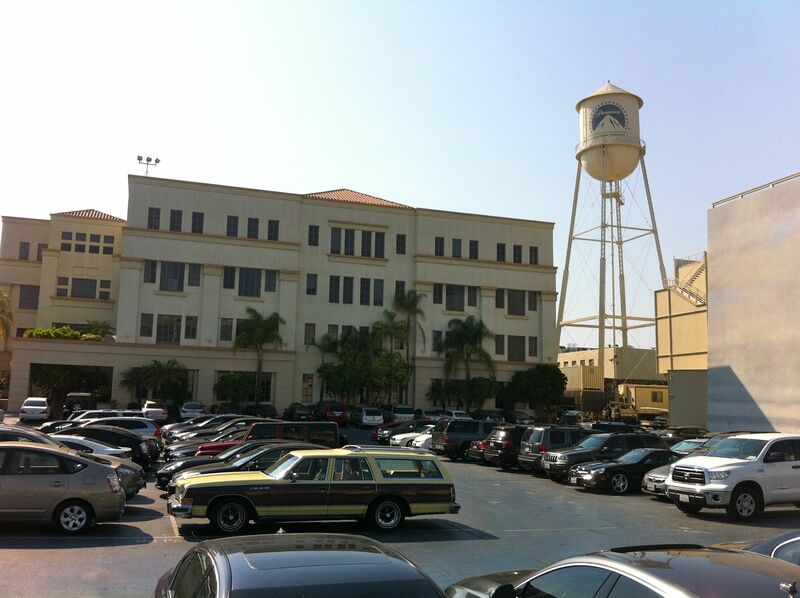 Paramount Pictures is legendary – who could resist it’s magic? Even the tour tickets are beautiful, featuring the shot below. 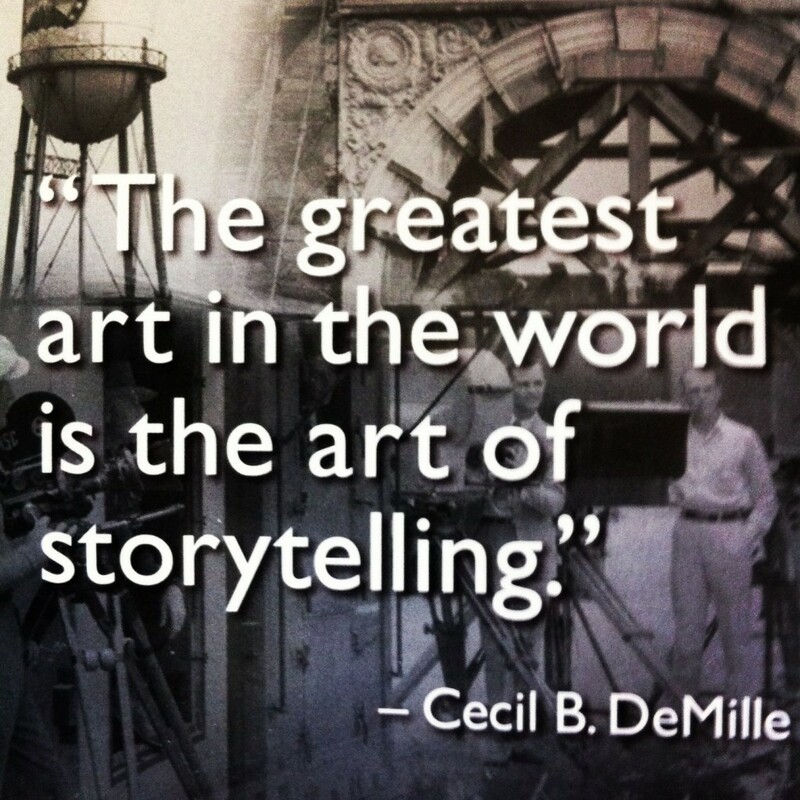 And this is how I will end my story because who could say it better than Cecil B DeMille? Who was the Greatest Gatsby? Did the weekend slip on by and you still didn’t get around to seeing THE GREAT GATSBY? If you haven’t already, this really is one movie you MUST try to see on the big screen. It’s such a visual feast, you won’t be able to savour its full aesthetic glory on a smaller screen once it disappears. While its’ success means GATSBY is likely to be on at the cinemas for a while, you don’t want to risk missing out. There’s been much debate as to whether Baz Lurhmann’s latest offering is ‘all style and no substance’, or whether it’s a work of genius. I’d say it’s somewhere in-between. Largely because I’m such a huge fan of the book. Having studied it at an academic level, I’m very familiar with all the famous lines and phrases so anything short of perfect is going to be difficult to judge. Other critics roll their eyes at people like me and bemoan the fact that being old-fashioned traditionalists, we can’t truly appreciate Luhrmann’s masterpiece. I disagree. I absolutely adore Luhrmann’s visual interpretation. The fast-sweeping camera-shots, the pace, the music, the colour and energy that bounce off the screen is infectious. The parties are so uplifting and sumptuous, you just want to dive right on in to that screen and soak it up for real. Of course, Luhrmann’s wife and production designer of the film, Catherine Martin must take enormous credit for her vision and styling. In one word – superb. 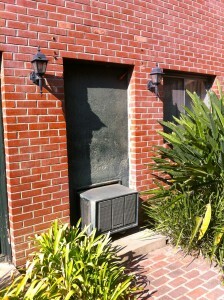 But there were a few niggling issues for me that stood in the way of perfection. At the beginning of the movie, there’s a scene where the character Nick Carraway is pouring his heart out to a psychiatrist, played by Jack Thompson. This was not in the original book by F.Scott Fitzgerald. And for me, it does not sit well with the character of Nick, who is the only stable and reliable character in the entire story. He’s NOT the sort of person to spiral into a mental wilderness from his experience. As the book’s narrator, he is a man reflecting on the gorgeousness of Gatsby; a man who has a fond admiration and fascination for this enigmatic character who invested so much in his dream. So no, I did not believe Nick would end up wild-eyed in a shrink’s office. 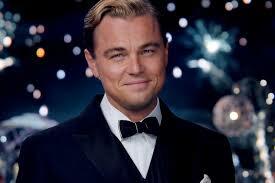 The other annoyance was the number of times Gatsby rolls out the phrase, ‘old sport’ in the film. We KNOW Gatsby loves to use the term as a way of trying to appear up there with the upper echelons of society, but it’s over-use in the film meant I felt like saying ‘GOT IT’ every time Leonardo uttered the phrase. It took me out of the moment. 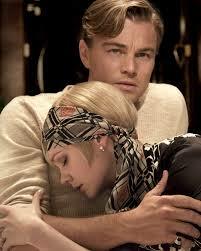 Leonardo DiCaprio is indeed charming as Gatsby and Carey Mulligan gives a fine performance as Daisy. But they’re not the first actors to take up the daunting challenge of trying to bring to life some of the literary world’s most famous characters. 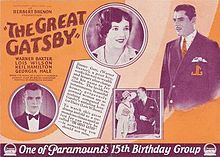 Apparently there was a silent movie version of The Great Gatsby, made in 1926, directed by George Cukor – starring Warner Baxter and Lois Wilson. 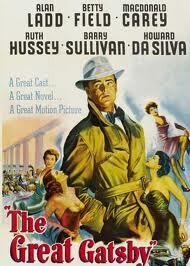 Then a second film came out in 1949, starring Alan Ladd as Gatsby and Betty Field as Daisy. Released by Paramount Pictures, this one was directed by Elliot Nugent and produced by Richard Maibaum. The third version, and most famous before now, starred Robert Redford and Mia Farrow. Released in 1974, that film also had its detractors but was hugely popular, even making front page of Time Magazine. At the risk of sounding old-fashioned, this is my favourite. The chemistry between Redford and Farrow is palpable – something I found a tad lacking between DiCaprio and Mulligan. 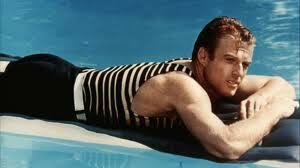 Okay, yes, I confess, I am a Robert Redford tragic, so I am perhaps a little biased. But I also loved Sam Waterson playing Nick Carraway in this version. AND the script was written by Francis Ford Coppola, which speaks volumes. But the 1974 Gatsby was slated for being too slow and uninspiring – something you could never say about Luhrmann’s version. Again, I repeat, despite my niggling criticisms, Luhrmann’s is a film you really must see. I am definitely going to see it again. There were also two version of The Great Gatsby made for TV in 2000 and 2002, but they had little impact. I suggest you see The Great Gatsby as soon as possible. 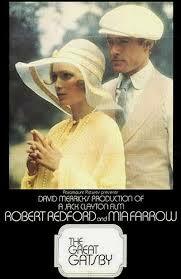 Then head to the DVD store and borrow the 1974 version with Robert Redford and Mia Farrow and compare the two. Let me know what you think. Who WAS the greatest Gatsby? DiCaprio or Redford? Leo has a twinkle in the eye, but for me, Robert carries the cool charisma essential to the character that IS Gatsby, to another level.